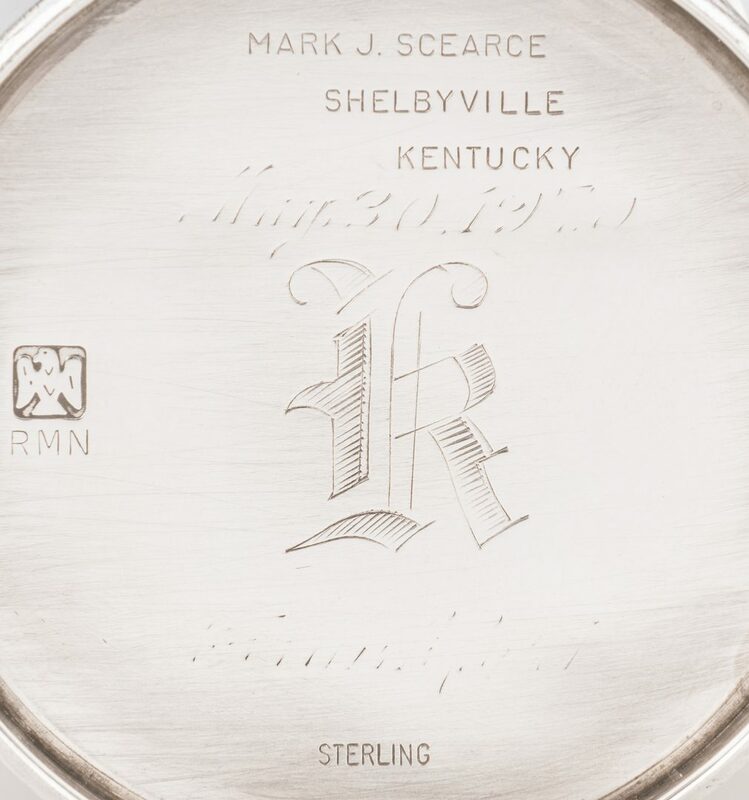 5 handmade Kentucky sterling silver julep cups, each marked on the underside MARK J. SCEARCE SHELBYVILLE KENTUCKY/STERLING along with eagle cartouche mark and initials RMN for President Richard M. Nixon (1969-1974), commemorating the American President during the period in which it was made. 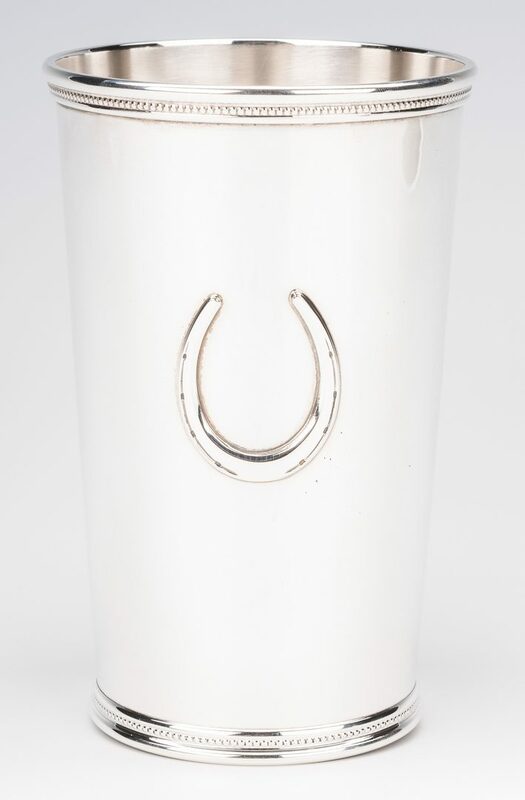 Four are tall form with applied horseshoe decoration 5 1/8"H, the fifth is plain with beaded upper and lower rims, 3 3/8"H. Fifth julep also has monogram K with worn inscription "May 30 1976 Frankfort" to underside. 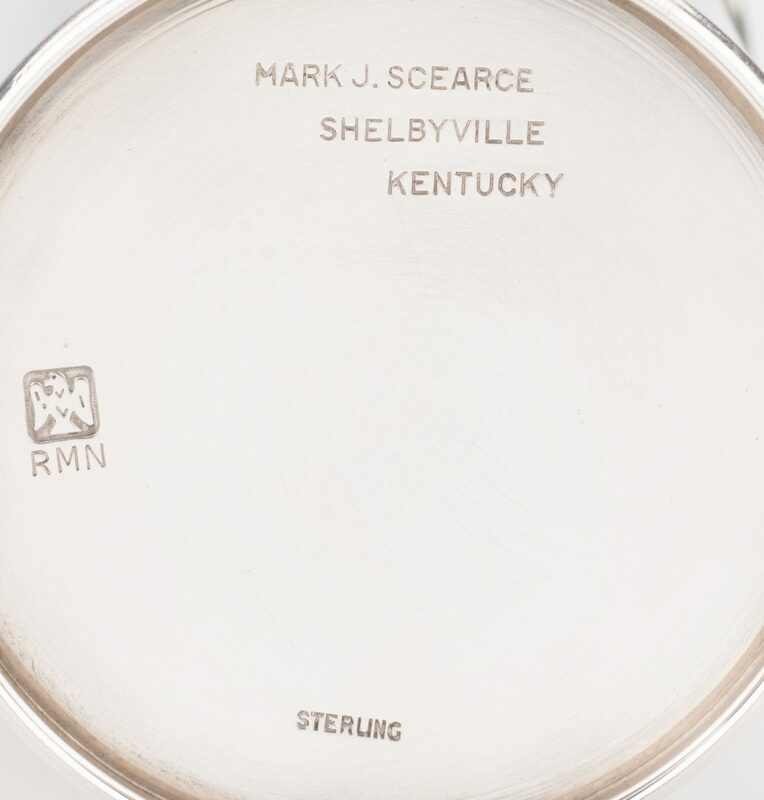 Combined weight: 29.77 oz troy. CONDITION: Horseshoe juleps – excellent condition. 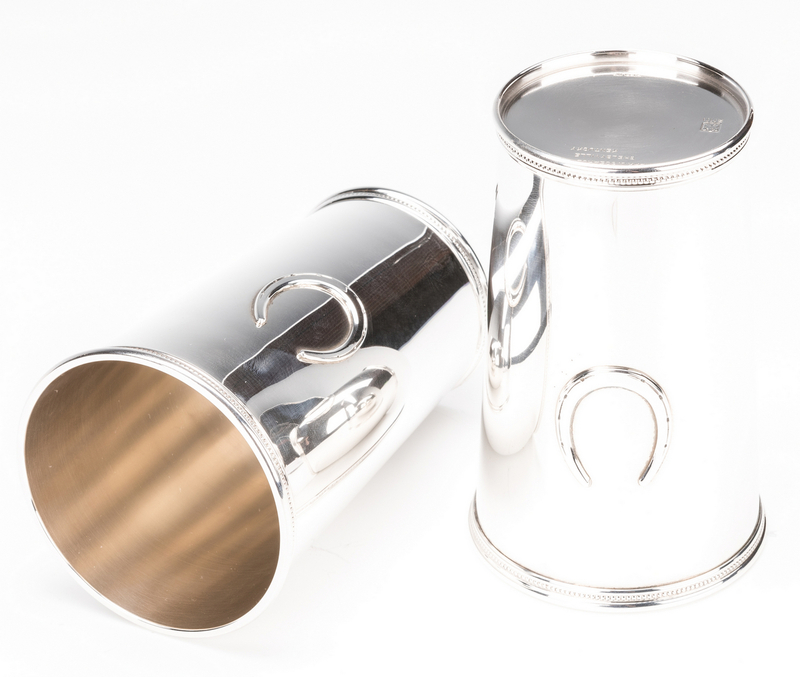 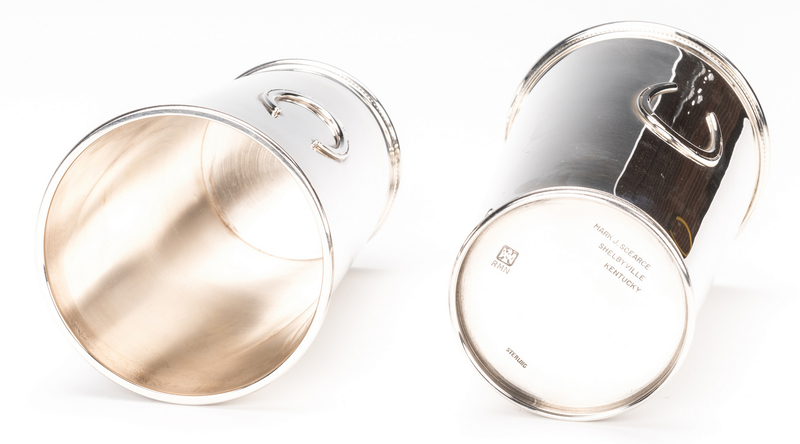 Shorter julep cup has an old monogram removal under the "K" – otherwise excellent condition.